Want to know why and what Sustainable Innovations Sweden and Nordics are good at? Want to learn more, promote and share these success stories? 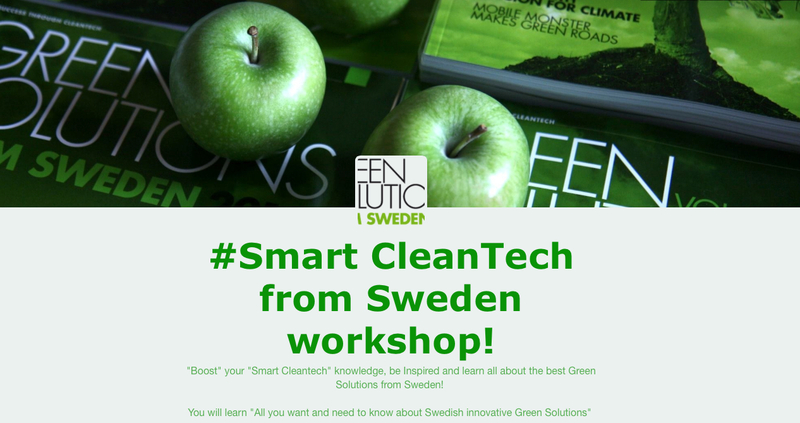 Book your Smart CleanTech workshop today! The workshops are held via Skype. Click on link and fill out Interest and question form below. Thank you!